First Look of Tyler Hoechlin in Superman Outfit And It’s SPECTACULAR! A few weeks before there was a huge news for Supergirl fans, as Andrew Kreisberg (executive producer) confirmed that Superman/Clark Kent is officially going to come into the show in the second season, casting is already underway for the role of Kara’s cousin from planet Krypton. He said in a statement “Greg, Ali and I are beyond thrilled to welcome Clark Kent and his slightly-more-famous alter ego to the world of Supergirl. 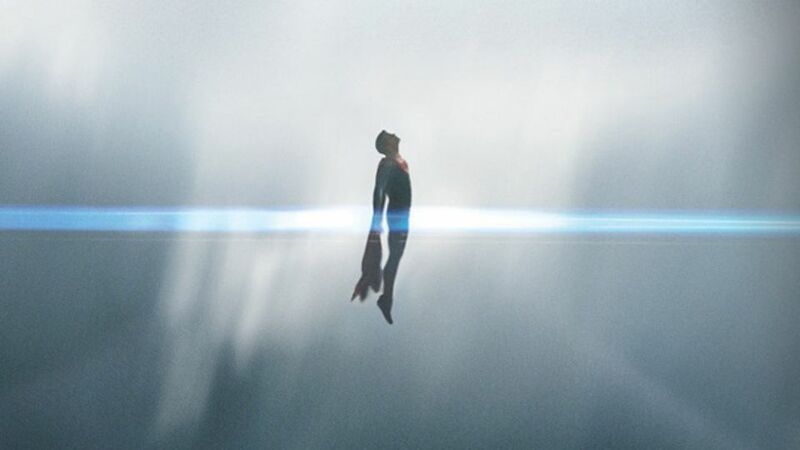 Superman will be appearing in the first two episodes of the new season and we cannot wait to see who next dons the red cape!” The character of Kal-El was always shown from a distance in the first season, his face was always obscured, but this time he will have a major appearance. This set off a speculation that Tom Welling (who played Superman in Smallville for 10 years) could reprise the role once again. He is on record praising Arrow, Flash, and Supergirl. But the show-makers decided to cast Teen Wolf star Tyler Hoechlin for the role. He played the role of Tom Hanks’ son in the Sam Mendes adaptation of graphic novel “Road to Perdition”. Andrew Kreisberg said, “Greg [Berlanti] and I have wanted to work with Tyler for ages, so this worked out perfectly because Tyler is Superman, we are so thrilled and humbled to add another amazing actor to the legacy of this iconic character.” The official first look of Tyler Hoechler in Superman costume has been released, and he is perfectly complementing Melisa Benoist playing the lead role of Supergirl.